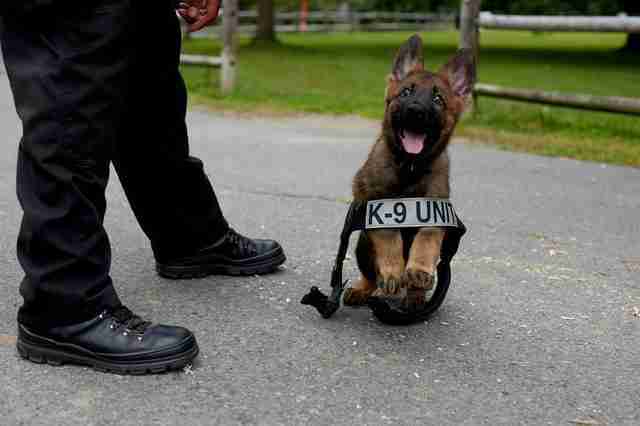 This little German Shepherd puppy, named Tuco, still has a long road ahead of him before he can begin fighting crime as a K9 with Boston Police Department - but the 9-week-old officer in training is putting the "aw" in law enforcement. 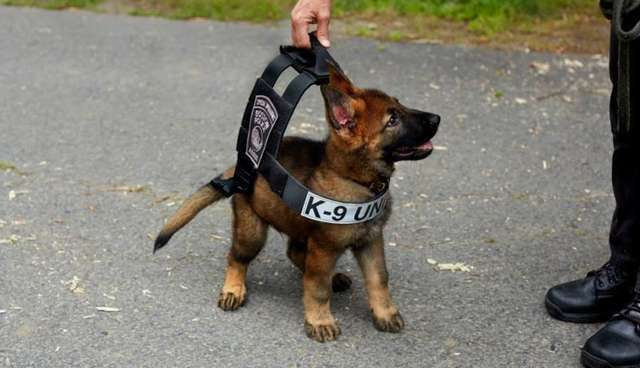 Massachusetts Vest-a-Dog, a non-profit dedicated to providing protective equipment to police dogs, this week shared a photo of Tuco trying on a K9 officer-identification harness he may wear one day as a grown-up. Not surprisingly, it's since taken the internet by storm. Boston Magazine recently caught up with Tuco's owner, police department dog trainer Troy Caisey, to learn about the ambitious pup's chances of donning the uniform officially. "It depends on the dog and how he matures," says Caisey. "I'm doing foundation work with him now, and in a couple of months I'll know if he will make it as a work dog, and when he will start his formal training. I'm doing little things with him now, but no formalized training will start until later." If Tuco's training goes well, he'll be joining thousands of other brave dogs currently serving alongside police across the United States. 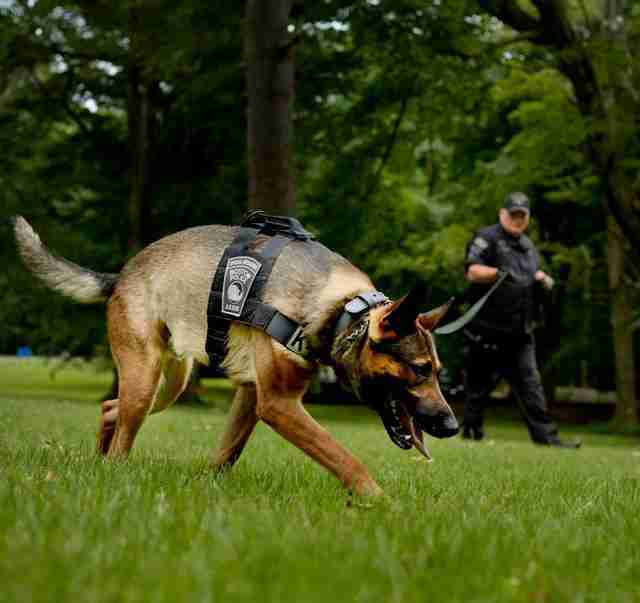 K9 units are employed by 90 percent of large police departments in the country, used to find and apprehend suspects, track down evidence, as well as sniff out narcotics and explosives. The Boston Police Department alone has 26 dogs on the service. Police dogs typically begin training at 18 months old, says Caisey, undergoing an intensive 14-week course before graduating into a career in law enforcement.